L-Glutamine is an essential amino acid found in high concentration in the body that plays a key role in immune, muscle and gut health. * Under body stress or physical demand it can be significantly depleted. 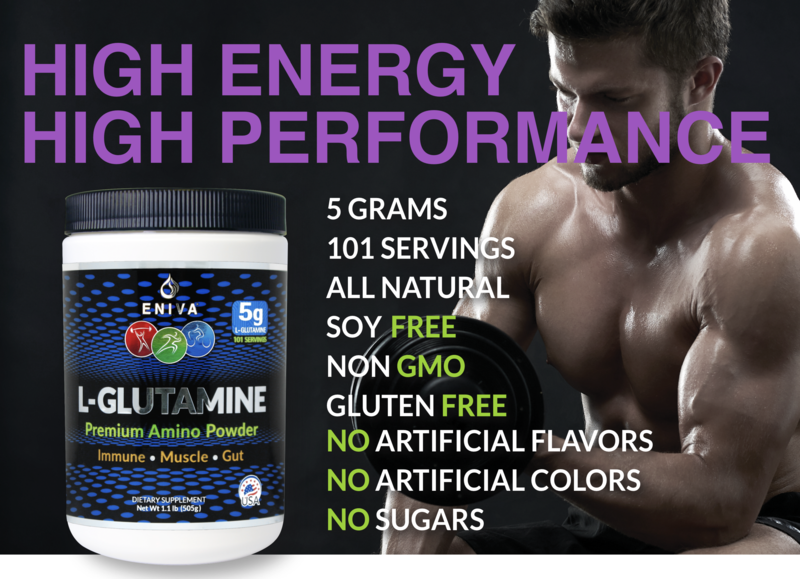 The Eniva Premium L-Glutamine Powder provides pure, USA made and body ready glutamine designed for easy mixing.